GymMaster Members App: Engage with Members Both Inside and Outside of Your Facility. Encouraging members to use the GymMaster app at your facility will increase your fitness clubs engagement with members and subsequently boosts member retention. Building the relationship between you and your clients is an important part of client satisfaction. The GymMaster app allows your company to communicate with your customers on the go, as well as offering them a host of other helpful features improving their experience at your facility. Send push notifications to your members devices keeping them up to date with important club information and changes affecting the class timetable or their membership (such as missed payments). Using notifications instead of SMS for getting in touch with members saves your club unnecessary phone bills. 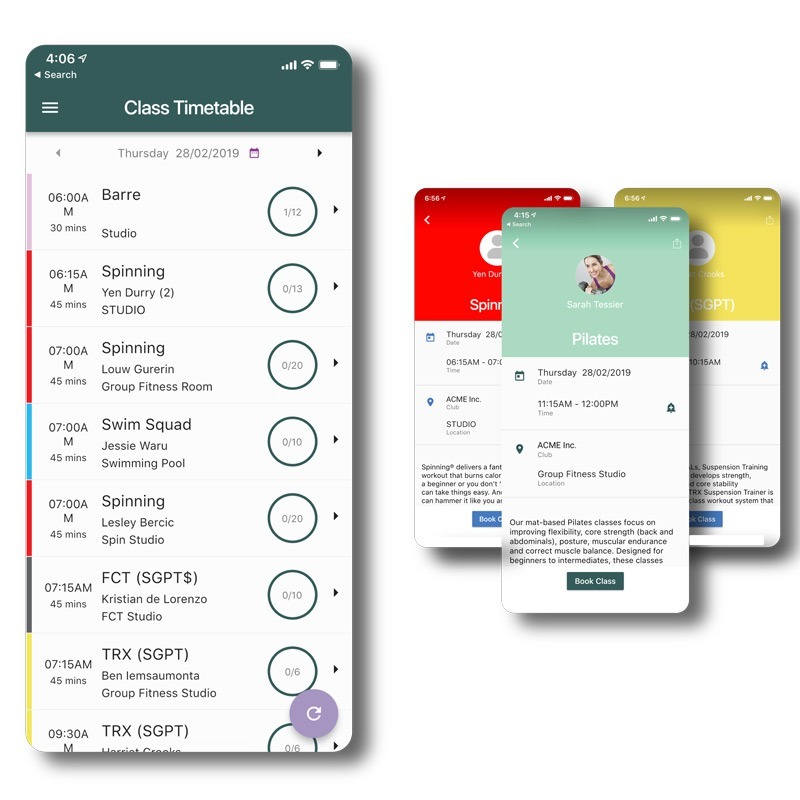 Members can view your club’s class timetable, find an available slot which suits them and then secure their spot making it easy for your staff to prepare for class by giving them an indication of who’s intending on coming. Not only can members view and book in their classes, but they can also make appointments with your personal trainers. The ability to do this from the palm of their hand removes a major barrier for many of your less confident gym-goers to get the help they need at your club. Members can view their workouts set by personal trainers on their mobile device, removing the need for unnecessary printouts of their training regime. The GymMaster app keeps your members motivated by letting them track their progress towards their goals. GymMaster allows them to log their measurements such as weight, blood pressure and more. Your members can download the app from either the Google Play Store, or Apple’s App Store. For more details on setup and customization, head along to to our App Setup Page.